Tacos have long been a staple in my life. My mother’s family came from Nicaragua and I grew up eating the tasty morsels of my heritage. Black beans, rice, sauteed peppers and onions, coriander, cumin and fresh cilantro….life… is… good. I wanted my children to know that tacos are NOT ground beef with a little iceberg lettuce, pale tomatoes, and bland cheese. 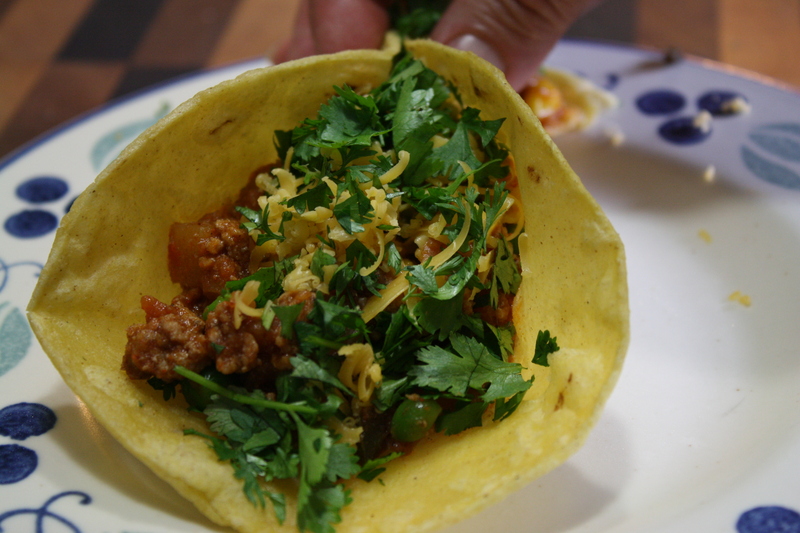 The tacos my grandmother grew up with were full of vegetables and for good reason. Meat was and is even more so now, expensive! Meat was an addition to the mix, not the star player. If you ask someone of Hispanic heritage what their favorite enchilada is from their childhood, most will tell you a potato enchilada for the same reason. My family had seven children in it. Meals need to be ample and affordable. I have only two sons, but still use the same principle. Why? So I don’t have to cook as often! Why make tacos for one night when you can make enough for four more meals? This mixture freezes beautifully! Spend about an extra 15-20 minutes on this one and your can enjoy your efforts on those nights when you don’t have time or you’re just tired. Use it for taco salad, tostadas, and burritos as well. I started feeding this to my son’s when they were little, it was a great way to get lots of veggies into them and they were happy to eat them. Onions, carrots, potatoes, peas, corn, beans…..whatever I had in the fridge. 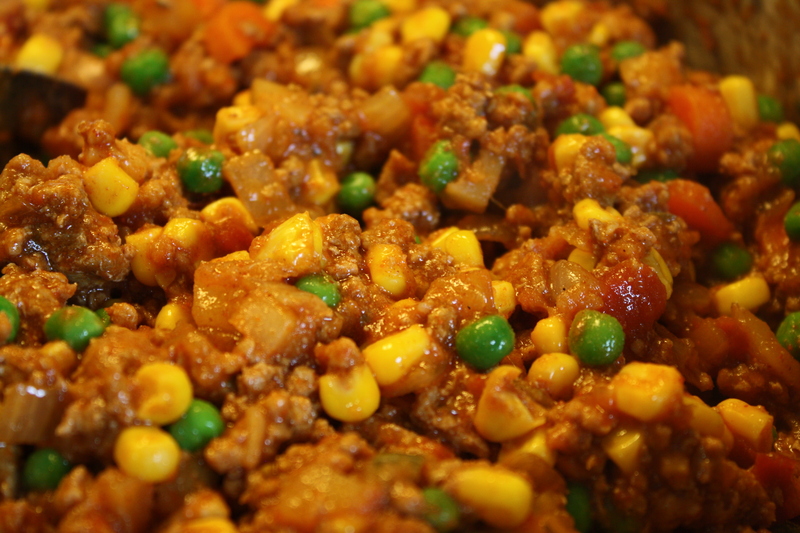 This is a great dish to clean out that veggie bin! My son’s still love these and I feel confidant that their children will eat them as well some day. This recipe makes a batch big enough for 5 meals. I freeze it in quart size bags with about 3 cups in each one. You can always add a can of black beans when you warm it up if you need a bit more. If you learn to make extra, you will find your life to be easier in the long run. In a large pot, brown the meats together. When they are about half cooked, add the onions, and carrots. 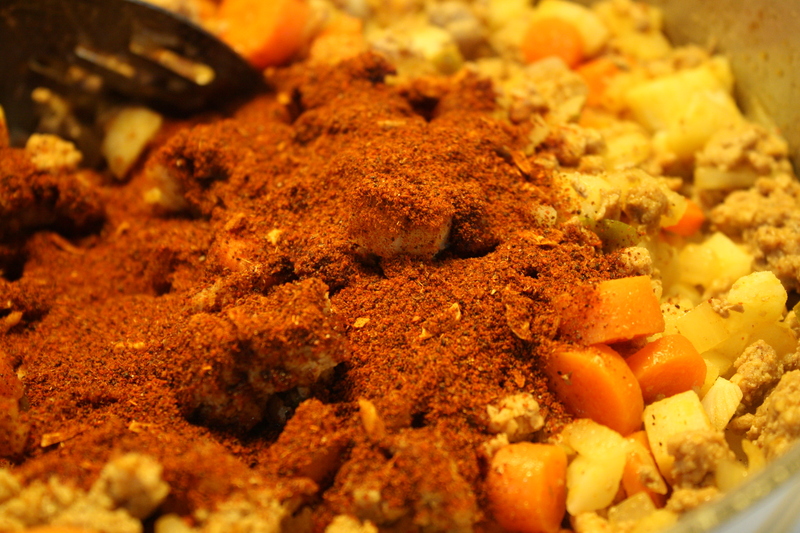 When the meat is browned, add the peppers and spices, cook for about 1-2 minutes to let the spices bind to the meat. Add the potatoes, salsa, tomatoes and beans. Simmer the mixture until the carrots are cooked and the liquid has reduced, about 10-15 minutes. Add the peas and corn and stir well. Continue to cook until mixture is hot again, but no longer. 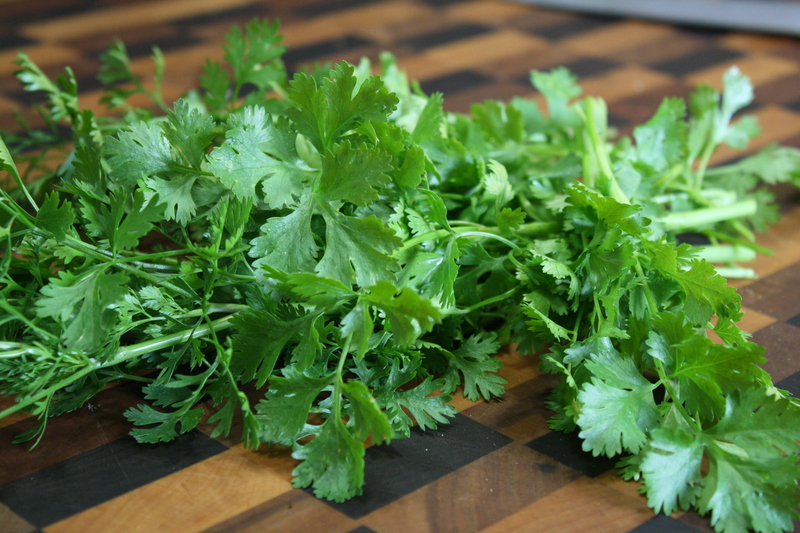 Remove from heat and add lime juice and cilantro. Serve in tortillas (my favorite is soft corn) with cheddar, or queso fresco and your favorite salsa or hot sauce. Enjoy!